We received over 400 submissions from all around the world! Video submission is now closed. 2018 © CyberLink Corp. All Rights Reserved. Download the ‘I Love Travel’ opening clip and double click to install it. Enter Title Room and choose "Downloaded" tab, you can find the opening clip is ready to use. Drag and drop it onto the workspace. Edit your video title by double clicking this clip. 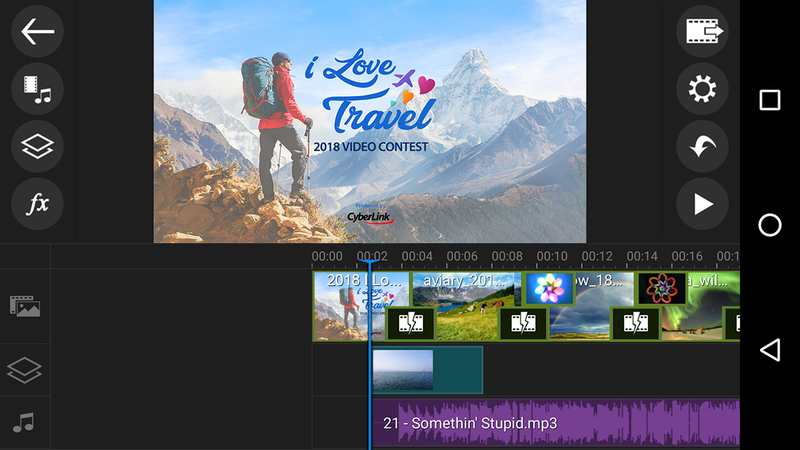 Add the template image onto the workspace and add your video behind it. Click "Produce" after video editing. Select an online video host. Click "Log into DirectorZone". After sign in, check "Share timeline info on DirectorZone". Click "Start" to upload your video. * DirectorZone is a video-editing community where you can share your video editing experience and download more effects. ** If your video is edited by ActionDirector, it is unnecessary to share timeline info. Your work has been delivered! 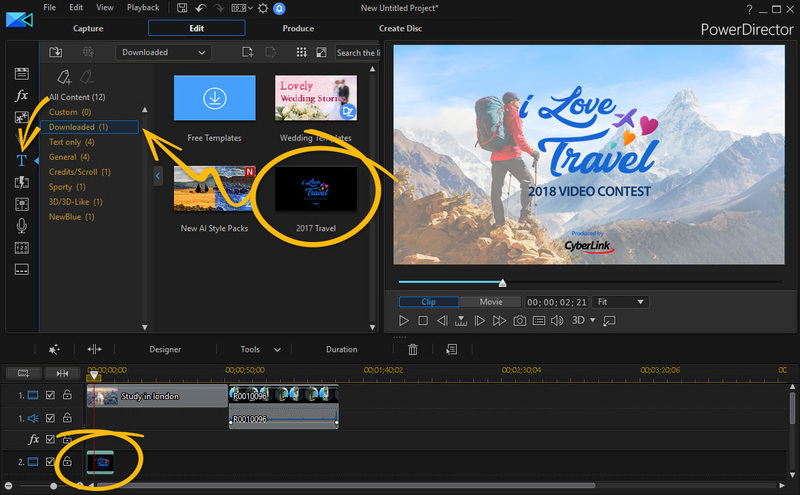 Thank you for participating in the ‘2018 I Love Travel’ Video Contest! Your submission has been submitted successfully, and will be reviewed within 3 business days. We will notify you when it’s made public on the event page. Please make sure that you inserted the opening clip/ image in the timeline, otherwise, the submission will be rejected. Please check your form There is error on your submission, please check again thanks!